In response to changes in global recycling markets, there are new guidelines in place regarding the items accepted by curbside pickup. 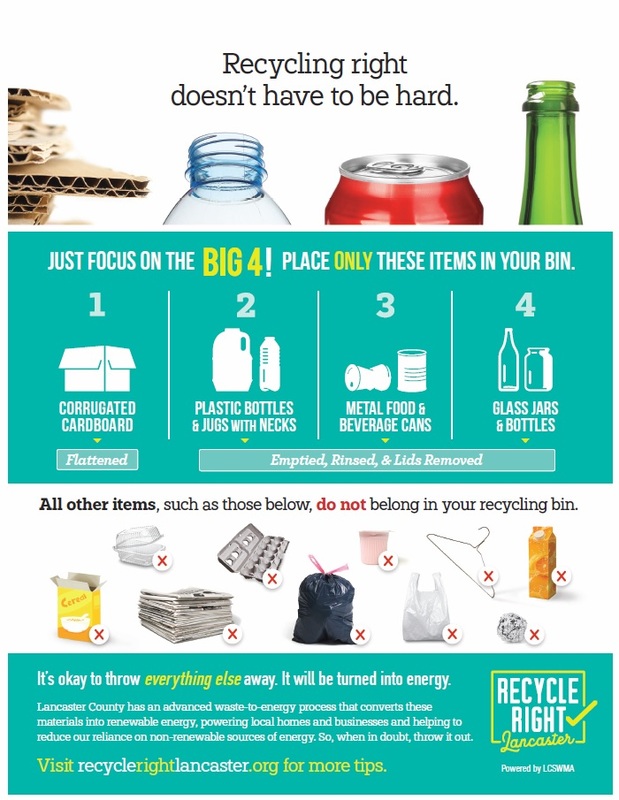 Please refer to the chart provided below when determining whether to place items in your curbside recycling bin, or in your trash container. Thank you for your cooperation!